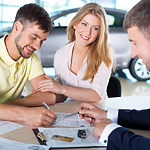 Financing a vehicle is a big step, and we want to know that you’re well-informed about the entire process. Stop at MINI of Charleston if you’re in the market for a new or quality used car or truck. Check out the various makes and models we have on hand and get some info on our great financing options. When you’re ready to buy your next vehicle, you may discover that financing is easier than you think, especially when you allow us to help. We’ll go over every little detail with you so you fully understand all the ins and outs of financing a vehicle. We want to make sure that when you buy a car, you’re making an informed decision based on having all the facts. Visit our Charleston showroom and allow us to finance your next vehicle. Find out how quickly you’ll be driving away in the vehicle of your dreams.